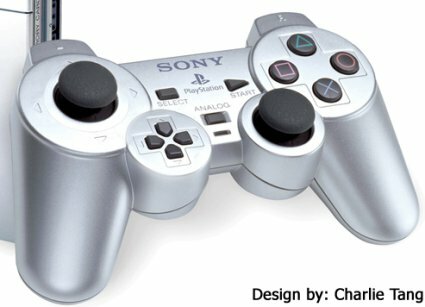 Learn how much it costs Sony to produce a single PlayStation 4, and how the choices made with its internal design will hopefully pay off big for the company. Taking risks comes with the big boy job of owning a business, but it’s making the right ones that can end up making or breaking your company. With the start of a new console generation a foot after a mere week or so, it appears that Sony has forged the right kind risks with the PlayStation 4 according to business research firm IHS. 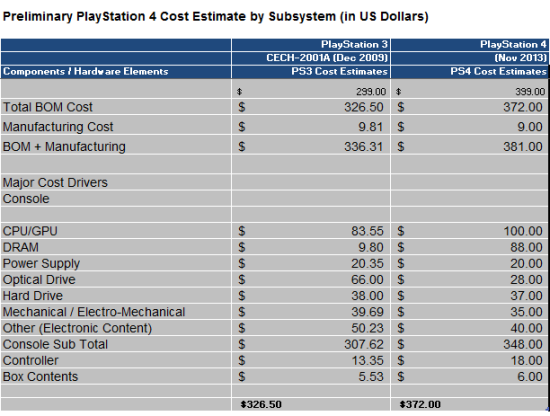 Doing a cost analysis of the individual parts used in the console, along with the cost of assembly, IHS concluded that it costs Sony $381 to make one PS4. 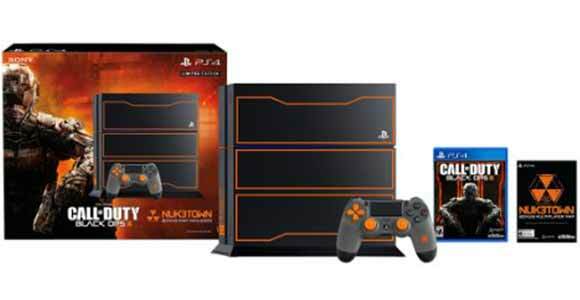 Simple math says that’s $18 less than the standard retail price the PS4, which still forces the company to take slight loss with every console sold, but not as much as the sinkhole compared to the ugly margin Sony took with the PlayStation 3 around its 2006 debut. 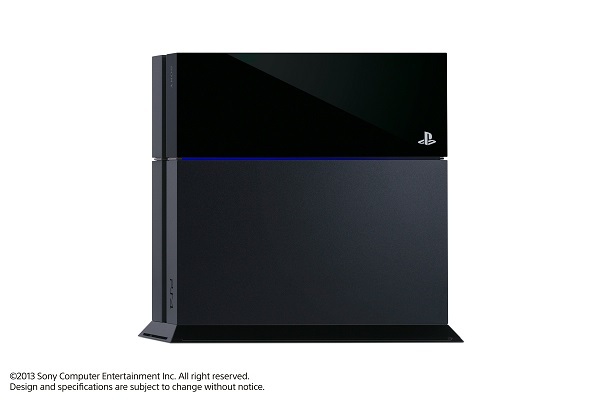 Even at the whopping price of $599, Sony still took a hit of $200 on each PS3 unit sold. That’s amazingly bad for your bottom line, and certainly a route Sony in directly avoiding for the PlayStation 4 with a machine that wants to be profitable as soon as possible. Unlike its predecessor, the PS4 is in a better position to turn a profit much sooner than the PS3 (most likely in a year’s time), which sadly it never truly was able to do thanks to its high-priced development. What’s even more surprising, is that the PS4 doesn’t sacrifice performance to do this, even when the two components that cost the most are its eight-core Jaguar CPU/Radeon GPU processor and 8GB GDDR5 of RAM. The latter of which is no doubt an expensive alternative to what’s currently available, RAM wise, but should naturally come down in price as the months go by. Sony isn’t fooling around this time, that’s a given, and it’s pretty evident in what we’ve seen so far with the PlayStation 4. From development to messaging, the company has been on fire and its resulted in 1 million PS4 units sold in 24 hours, breaking all previous records for a console’s release in such a time frame. Go Sony, go. For more PlayStation 4 news, the teaser trailer for the next Uncharted game, or info on the first-of-many-to-come PS4 system software updates, just grab a chair and take in all that Ps3Maven has to offer.